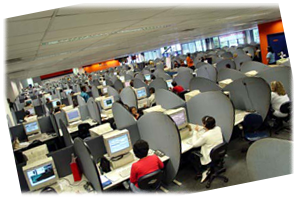 Excellent outbound telemarketing involves more than just sales. The tele sales service provider you choose will be representing your business, so it.s important to select a company you can rely on for quality customer service. Take the time to compare various providers and choose one who will work with you create a successful outbound telemarketing strategy. We have carefully selected top, national search marketing companies that can supply high quality telese rvices for your business at a significant cost savings. One of the best ways to find an outbound telemarketing service that meets the needs of your business is by simultaneously comparing and receiving quotes from various providers. You can take advantage of this vendor matching service provided by InsideUp by filling out a simple form describing your company needs.